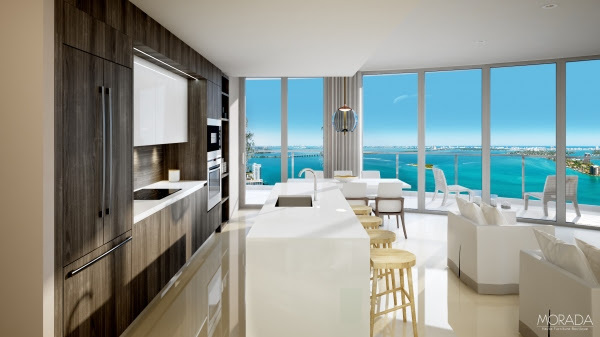 B Realtors: Aria on The Bay - New Construction! 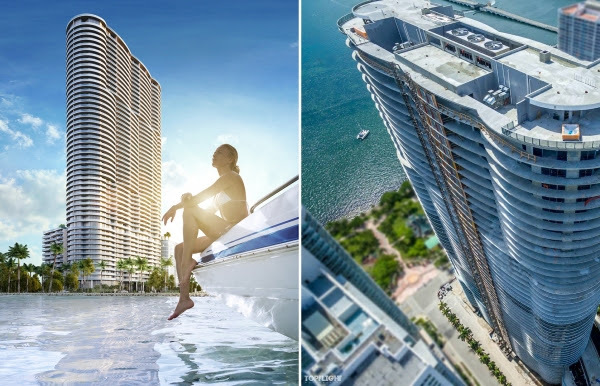 Aria on the bay is elevated into a truly exceptional level. Its bay-front location provide residents with multiple atmospheres they can explore anytime, while gorgeous residences and breathtaking architecture make it a unique, luxurious paradise within the city. It is the best located waterfront new construction in Miami. 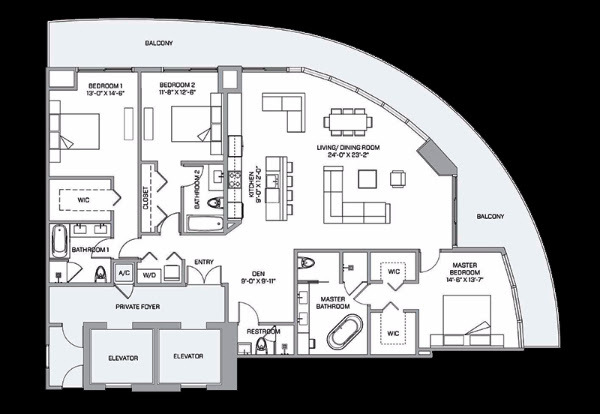 Unique and spectacular floorplan, 2 private elevators only for Model A owners, private foyer, large master bed with 90 degrees views of the bay, walk-in closets, separate Studio/Office with its own bathroom for a total of 3 beds and 4 baths + Den. Delivered completely finished and move-in ready with 7 different flooring options to choose from, 600 square feet terrace for the enjoyment of panoramic views of the bay and morning sunrises year-round.